— Flour cheese slices on all sides. — Heat oil on medium high heat and fry cheese approximately 1 minute on each side. 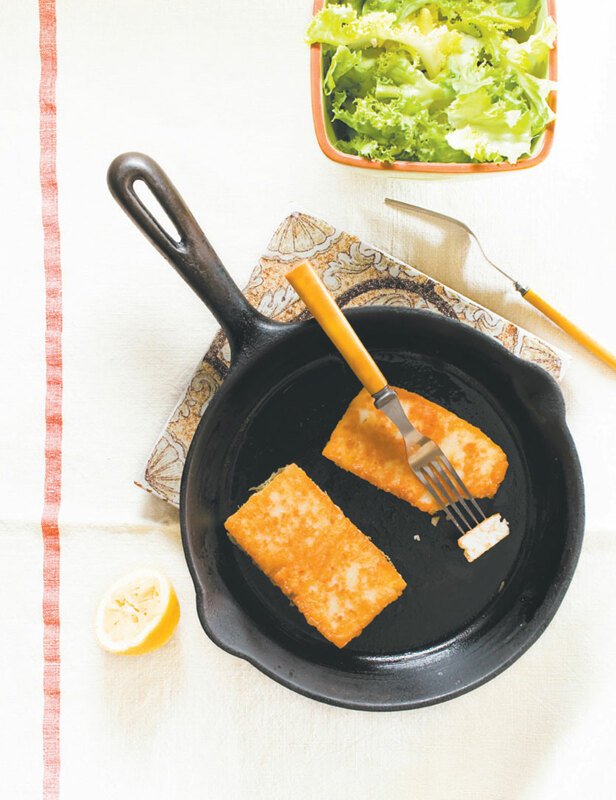 — Drain the oil from the skillet, flambé with Ouzo, and drizzle the cheese with lemon juice. TRICK — Excellent with fresh greens, vegetable confit or in small portions as an appetizer.